Sunday, July 8th, 3 – 5 pm. Free closing reception followed starting at 4pm which a included poetry reading. The Rose Compass panel discussion took take place from 3-4pm on the final day of The River’s Journey exhibition of intimate gouache paintings at the Wildling Museum in Solvang on Sunday, July 8th. The public was invited to hear stories from these six artists about their one year, ninety-two-mile investigation along the watershed of the Santa Ynez River, the life source that feeds our communities. The free closing reception took place from 4-5pm and will include a poetry reading by Steve Braff and Dorothy Jardin. Nina Warner is a native Californian, who enjoys the diversity of landscape and bountiful natural beauty that informs her work on many levels. Nicole Strasburg slows down to savor the act of observation and revels in the restraint and quiet that attention requires. She believes, like many naturalists, you go outside to turn inward. Holli Harmon finds her self to be a contrarian at times, so as a painter, the description of a “contemporary traditionalist” is fitting. It reflects her effort to use imagery that is current while honoring the tradition of painting. 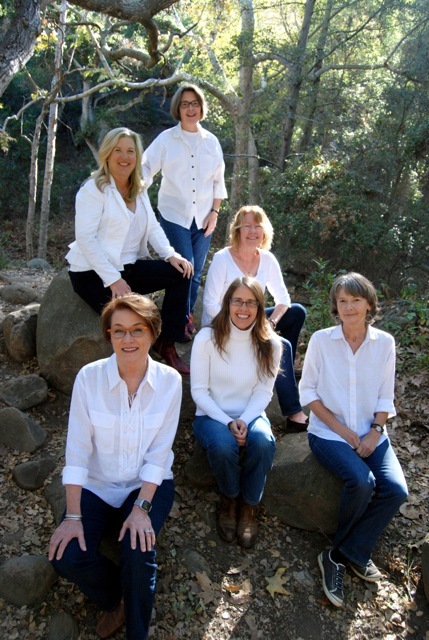 Libby Smith has over 40 years of experience hiking, swimming, camping and exploring the Santa Ynez watershed. She enjoys sharing portraits of the river habitat from narrow canyons to rocky pools, through fields and finally joining the ocean. Pamela Zwhehl-Burke makes images as part of learning and reflecting on the world. She taught Drawing, Figure Drawing, 2-D Design and Printmaking for many years at Santa Barbara City College and the University of Wisconsin, Milwaukee, and enjoyed seeing students become curious about how pictures work.